There has never been a better time to explore and expand the frontiers of the pharmaceutical industry than now. The last few years have ushered in new trends that experts think will dominate biopharmaceuticals. There is one, in particular, that is gaining significant traction. It stems from the idea that the industry is no longer focused on a “one-size-fits-all” approach in terms of developing therapies and manufacturing drugs. 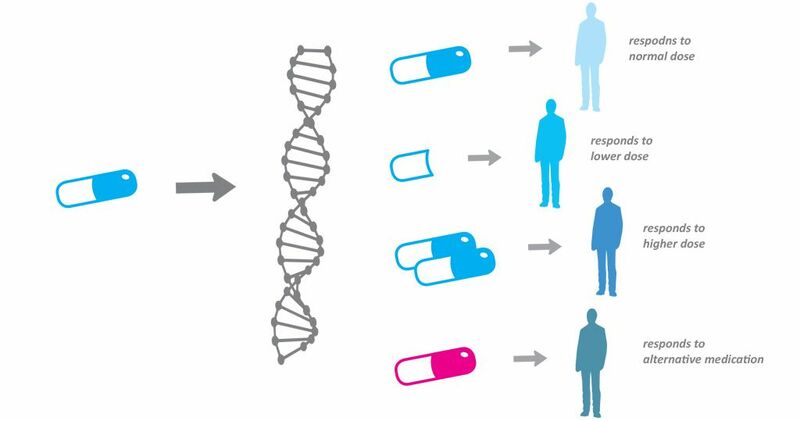 One of the most revolutionary breakthroughs in the realm of biologics is the development of Personalized Medicine. It is a targeted form of therapy that makes use of genomic data (Genomics) as its main source of information to tailor fit the treatment to an individual’s unique genetic makeup. There is also an increasing number of diagnostic and analytical techniques that take into consideration other factors that influence a patient’s response to diseases and treatments such as Epigenetics, Proteomics, and the Environment, to name a few. These factors will pave the way for a more exact and holistic form of treatment called Precision Medicine. As the demand for this kind of treatment keeps rising, the more that specialized treatments become competitive due to the emergence of biosimilars. Less expensive alternatives to the original or reference products are going to bring up other challenges such as the interchangeability of their parts. Since biologics are touted as safe alternatives for traditional pharmaceutical products, they are being tapped to cover areas of unmet medical needs, especially for rare/neglected diseases. The challenge is figuring out a way to lower their cost, while maintaining safety and efficacy. It would take a comprehensive effort from the different players in the industry to map out a strategy that will include all the phases to ensure control and consistency. The targeted treatments are classified into the following segments: (1) Monoclonal Antibodies, (2) Antibody Drug Conjugates, (3) Checkpoint Inhibitors, (4) Protein Kinase Inhibitors, and (5) Stratified Medicine. While pharmaceutical products are gaining traction in “pharmerging” markets, biologics have now started to take a strong foothold in industrialized countries. The top three therapeutic areas that they are being developed for are the following: Anti-Cancers (using mABs), Metabolic Disorders (using therapeutic proteins), and Anti-Infectives (using vaccines). New treatments are in development, proving that the trend of personalized and precision medicine is going to take front-seat in the biopharmaceutical arena for years to come. Faster drug approval times will further cut the costs down and help drive the biologics market even further. They can, potentially, be achieved through allowing trials for organs-on-chip as an alternative to animal trials in the initial stages of the process and changing the point of reference to showing that the drug can extend the patient’s survival time without further progression of the disease. It is, also, interesting to note how the General Data Protection Regulation (GDPR), recently implemented in the EU, will impact how genomic data is being utilized within the region. Whether or not this will cause setbacks or progress in personalized treatments remains to be seen. Explore this trend further with experts and decision-makers at the inaugural Biology Strategy Meeting 2019. To register and get more information, you may visit https://proventainternational.com/biology-strategy-meetings-europe-2019/.